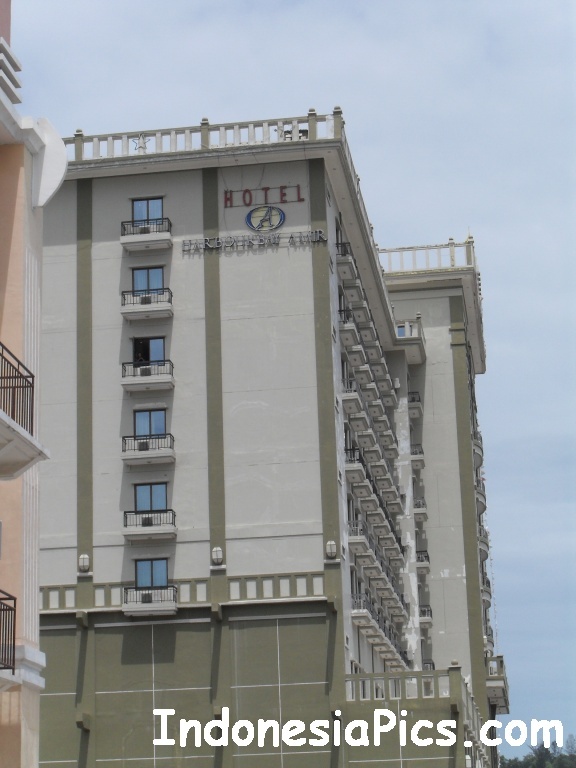 I stayed at the Harbour Bay Amir Hotel in Batam during the Chinese New Year holidays in February 2010. 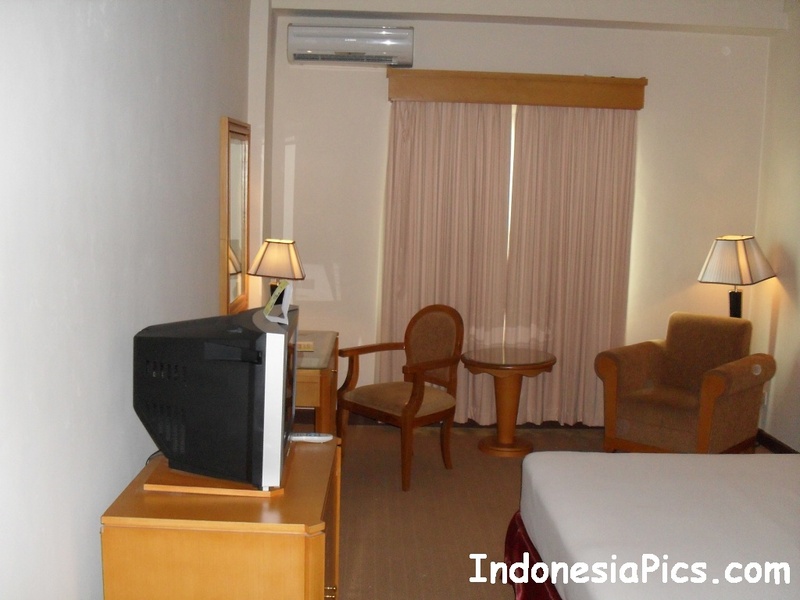 The most convenient way to reach this hotel is to take a ferry to Harbour Bay Ferry Terminal in Batam. You need to take a ferry that is run by the ferry operator called Wavemaster. The journey will take less than an hour from Singapore. Upon arrival at the Harbour Bay Ferry Terminal, you can actually walk to this hotel. Here is how to do it. Just outside the main arrival gate, you can see lots of taxi outside the lobby. Looked more towards the right and you can see a small road; just walk towards the road. Alternatively, you can wait till you see how the taxi drive out from this departure area towards the road that leads out from this terminal. Just keep walking till you can see a building which is about 6 or 7 storeys high – that is the Harbour Bay Amir Hotel Batam. It takes only 10 minutes to reach this hotel if you care to walk. The Harbour Bay Amir Hotel seems to look relatively new and beside this hotel is the Harbour Bay Mall. This is the newest mall that has just opened in Batam with Carrefour as its anchor tenant. Checking in was relatively quick and I took an elevator to my room. The hotel room that I have booked was spacious enough and carpeted. There was a king size bed but I find the pillow rather worn out. The main disappointment is that the room does not have a mini fridge and a kettle – in short there was no minibar. I do not like room that does not have minibar. I think the management of this hotel should looked into this seriously. What is the cost of putting up a minibar in each room? I think it is minimal. I am sure all guests would want a minibar in their room – to be able to make their own coffee or tea and enjoy a cool drink straight from the mini fridge. Another item that is lacking is a hairdryer in the bathroom. Many women would liked to have a hairdryer in the bathroom. The TV in the room is the small old CRT type but to me it is still acceptable. The towels given is clean but looks worn out as well. Also if there can be an additional pillow provided, it would be good. The bathroom is spacious and clean and yes there is a bathtub if you enjoy soaking in the bathtub. There is a lobby lounge at the ground floor which is called DLounge. I wanted to highlight something that is pleasant. I wanted to have a beer about 1 am in the night, I walked to this lounge, however it was closed. I asked the staff to confirm whether it was in fact closed. The staff nodded and told me that he could get someone to serve me. I sat in the lounge and later a male staff came to turn on the light of this lounge and served the cold beer that I wanted. Now that was excellent service which I very much appreciated. Breakfast in the morning was served in the restaurant that is on the ground level. The breakfast spread is quite standard as in most hotels in Batam. However I find that the tea that was served in the tea pot was too diluted. Overall, the breakfast is acceptable.